Chatter about the inevitability of Greece exiting from the European Monetary Union-the euro-continues to gather momentum. A recent Financial Times poll indicated that a majority of Germans expect Greece to abandon the euro, and prefer such an outcome in lieu of continued bailouts of Athens that are largely funded by German taxpayers. In the United States, major companies are preparing for the impact of a Greek exit from the euro, as reported in The New York Times. In fact, major corporations globally are assessing the likelihood that Greece will exit-or be “kicked out” of the euro. It is also said that “the market” has priced in the impact of a Greek exit. The problem with planning for a Greek euro exit or the market supposedly pricing in such a monetary development is that such a move will be unprecedented, and cannot be properly analyzed or accounted for in advance. For one thing, a Greek euro exit is only the first domino, and may open he way for the other PIIGS nations (Portugal, Ireland, Italy and Spain) to sequentially exit the euro after Athens departs from the monetary union. 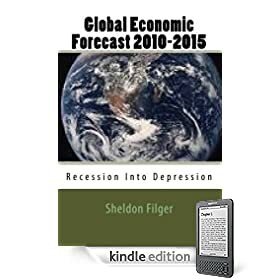 In short, we are sailing into unchartered territory, as the global economic crisis and Eurozone debt crisis enters a new, and potentially far more dangerous state.